Manuel Pellegrini - Manchester City manager? 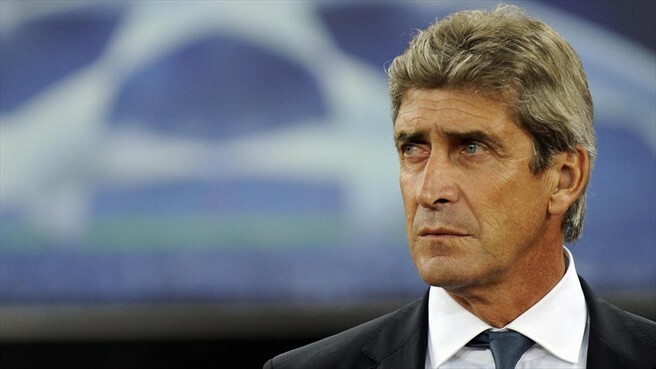 Manuel Pellegrini – Manchester City manager? Manuel Pellegrini has been touted as the next Manchester City manager. Current City boss, Roberto Mancini, has come under pressure this season after failing to retain the Premier League title, despite leading the Blues to the FA Cup final. So would Pellegrini be able to do a better job? He began carving a successful reputation in South America by winning championship titles in Chile, Ecuador, and Argentina. He then moved to Europe to take the reins at a financially struggling Villarreal outfit. He guided them to the knock-out stages of the UEFA Champions League twice during his five-year tenure. After his brilliant exploits at Villarreal, he became Real Madrid manager. Coinciding with the return of flamboyant president Florentino Pérez, Madrid embarked on a spending spree designed to reinstate their position as the best football club on the planet. Brilliant players such as Kaká, Cristiano Ronaldo, Karim Benzema, and Xabi Alonso were all acquired at a cost of over £200m. Unfortunately, Pellegrini found out, like many of his predecessors before him, that the Real Madrid job is something of a poisoned chalice. The tone for his managerial stint at Madrid was set very early on, with the infamously opinionated Pérez criticising Los Blancos’ style of play as early as pre-season. The defeat to Segunda División B club Alcorcón put further pressure on Pellegini, as did the Champions League defeat by Lyon. Nevertheless, he achieved a points tally of 96 in La Liga, beaten only by THAT Barcelona team, perhaps the best club side ever. It is his work with Malaga over the last two seasons that has seen his stock rise considerably again. In his first season, he led them to their highest ever league finish, and vowed to stay at the club in 2012 despite reports of financial struggles and top players being sold without his validation. It seems clear that Pellegrini is the rare kind of manager that flourishes when his back is up against the wall; his best work has undoubtedly been at relatively modest sides such as Villarreal and Málaga. But is he the right man for billionaire boys Manchester City? Khaldoon Al Mubarak, City’s chief executive, is not an easy man to please. He may not be as interfering as Pérez, but you only have to look at Mancini’s potential departure to see that he has got a fairly ruthless approach when it comes to attaining success. Pellegrini has had an embarrassment of riches at his disposal before, and, but for that all-conquering Barcelona team, he would have added to his collection of league titles in Spain too. In a Premiership that has weakened over the last five years, it is not implausible to suggest he could make City the dominant force in England once more. As harsh as sacking Mancini would be, City may have found a top potential replacement in Manuel Pellegrini. Why do some women hate their bodies?